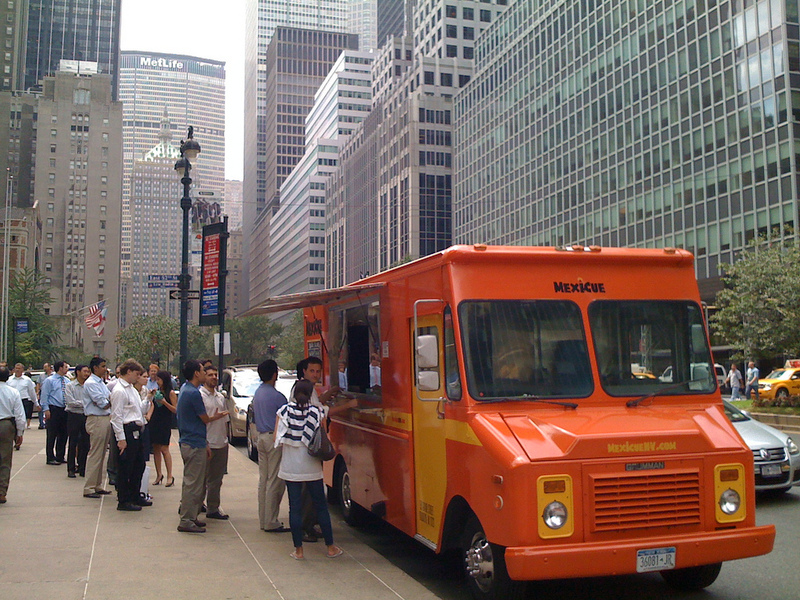 If you're looking for a spicy bite, run, don't walk -to the nearest location of the Mexicue truck. Get a sample of wow and a little zing in a slider or taco filled with their various versions of pulled pork, shredded chicken or go vegetarian with their smokey BBQ beans. You can even get one of each and not feel like a complete glutton. According to their own website, "Mexicue is the sweet, sweet love child of red-hot Mexican cuisine and down-home, barbeque goodness." That sounds pretty straight forward and I can't argue with a sweet love child. They travel throughout Manhattan and Brooklyn everyday of the week and also have permanent storefront locations in Midtown West and the LES. Exact details on Mexicue's locations are on their home page.